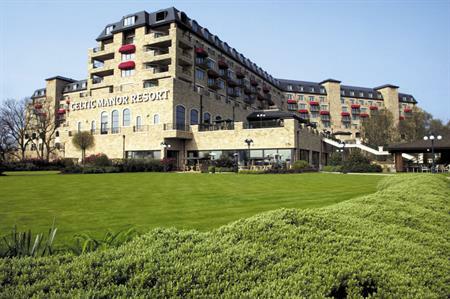 The Celtic Manor Resort in South Wales has acquired the 148-room Hilton Newport hotel. It marks the company’s second acquisition outside of its 2,000-acre estate, following the Newbridge on Usk in 2010. The new owner plans to continue running its latest acquisition as a hotel, under a new name to be confirmed at a later stage. Celtic Manor Resort also recently received planning permission for the on-site, 1,500-capacity Wales International Convention Centre, upon which work will begin this year. The Hilton Newport has 148 guestrooms and nine meeting rooms, with several amenities including a fitness room, swimming pool, spa bath, bar, lounge and restaurant. All hotel team members will be retained when Celtic Manor takes over the property. Ian Edwards, chief executive of the Celtic Manor Resort, said: "We are extremely pleased to be exchanging contracts to acquire Hilton Newport and look forward to working with the experienced team there as the hotel transitions to our ownership and management. We are always looking to expand and build upon our successful business at the Celtic Manor Resort, while continuing to help support the local community and economy. "Occupancy at the Celtic Manor Resort is currently running at 90% and there are many nights when we could easily exceed our capacity of 400 bedrooms. The additional bedrooms at the newly acquired hotel will help address our need for more accommodation across all our markets - conference and business, golf and leisure."